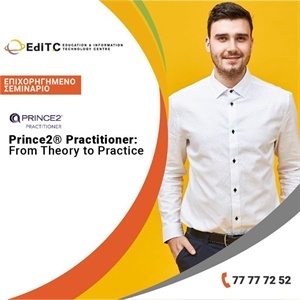 PRINCE2® (PRojects IN Controlled Environments) is a process-based approach for project management providing an easily tailored and scalable method for the management of all types of projects. The method is the de-facto standard for project management in the UK and is practiced worldwide. AllianceStudy has been assessed after rigorous evaluation and conferred the title of Accredited Training Organization (ATO) by APMG Group, UK. There are two levels of qualification for PRINCE2. The Practitioner Level is the second level and candidates must pass the Foundation exam before proceeding to the Practitioner level. The Practitioner Level aims to measure whether the candidate is able to apply PRINCE2® methods to managing and executing a Project, and if he is able to fine tune PRINCE2® to different project circumstances and understand the relationship between processes, components and techniques. Assignment 1: A fictional project scenario which describes an organization investing in a project and is normally about 1 page of A4 text. It is this scenario upon which all the questions are based. Assignment 2: A fictional project scenario which describes an organization investing in a project and is normally about 1 page of A4 text. It is this scenario upon which all the questions are based.